Looper Brand announces a new development in concealed carry options for women. 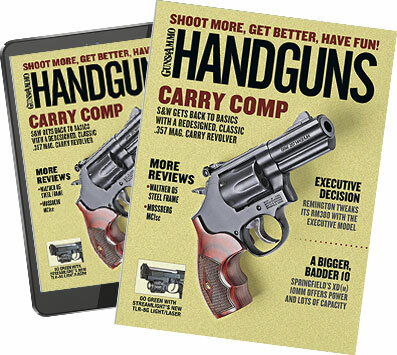 The Flashbang Holster is a thermo-plastic molded clamshell designed to snap in place over the barrel/slide and triggerguard of many small .380 pistols and J-frame revolvers. The holster then tucks up underneath the lady's bra band, where it is secured in place by both the band itself and a soft suede strap that snaps around the center portion of the bra between the bra cups. The open-bottom design of the holster allows the gun to be drawn simply by pulling straight down on the grip of the gun while the suede strap retains the holster. 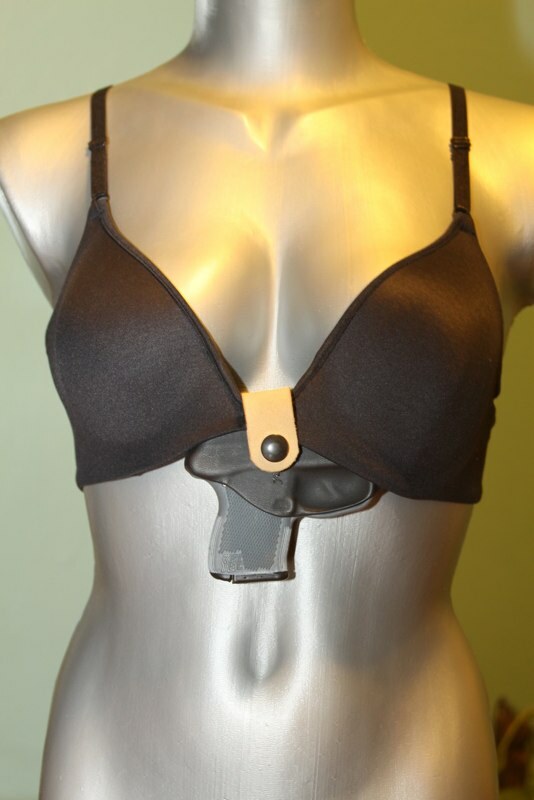 The Flashbang Holster comes with three straps of different lengths to accommodate the majority of bras. Each strap has a snap that allows the user to quickly put the holster on and take it off, but prevents the holster from being forcibly removed or knocked loose.The only portion of the gun that is visible is the grip. MSRP: $40. 405/677-1655, www.flashbangholster.com.